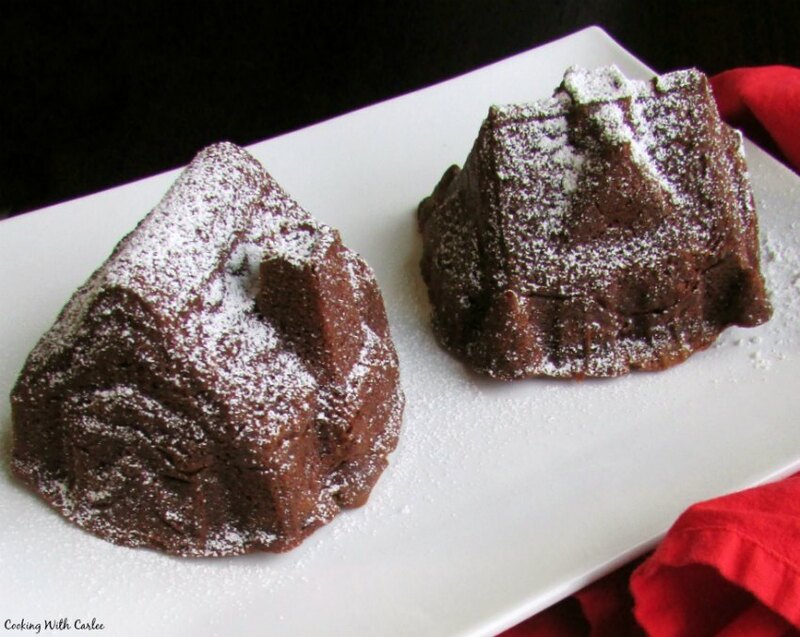 This gingerbread cake has a great balance of spice and sweet and can be baked in a 9" pan or in these cute little gingerbread house molds. It's time for another cake slice cake!! As usual, all four choices look great. But it is December and there is a gingerbread cake in the mix, so I just had to go that way. Other than gingerbread cookies, I really hadn't make much gingerbread before joining the group last year. I believe this is now my third version in a little over a year. It is amazing how many different version there are and how different the flavor profile of each is. If you didn't check out World Class Cakes after last month's bake, you are really missing out. The book is gorgeous and filled with the most beautiful cakes and sweets. This gingerbread was no exception. It was baked in a 9" square pan and had the most beautiful royal icing design on top. I love doing royal icing on my gingerbread cookies, but I am certainly no artist. The idea of trying to do something that looked like anything on top of a plain cake was way to daunting for me. So I broke out some help, in the form of my Nordic Ware Gingerbread House Duet Pan. The whole recipe didn't fit in the pan, so if you have the same, you could really get 3 or possibly 4 houses from the recipe. I decided to just throw the rest in a 9" round and got a thin cake in addition to the houses. This recipe does make a nice, mild gingerbread. My three year old and I made it together and we found it a bit messy to add the warm milk at the end... though that could certainly be blamed on us. We tend to be a bit messy when we bake together. It would certainly be worth making again, but I personally preferred the stronger flavor of the Pumpkin Gingerbread Loaf I made last year. But frankly either would be a perfectly festive addition to your holiday dessert table! Preheat oven to 325 F and prepare your cake pan (a 9x9" square pan, 9" round or fun gingerbread molds) with butter and flour or spray with flour in it. Cream butter and sugar together until light and fluffy, then beat in eggs one at a time. 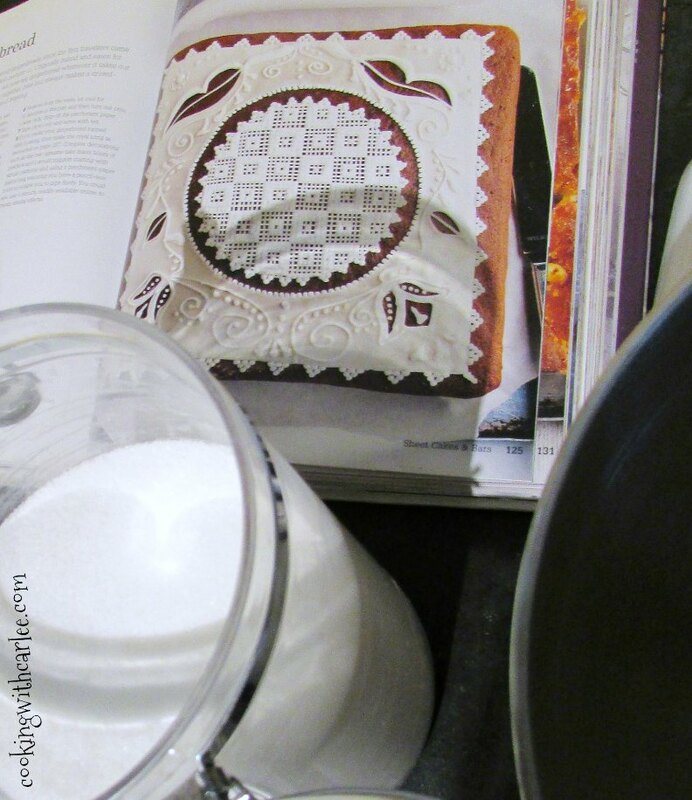 In a small bowl, whisk together flour, baking soda, salt, cinnamon and ginger. Mix the dry ingredients into the creamed butter. In a small pan warm the milk slightly and stir in the molasses and corn syrup until dissolved. Beat into the batter with lemon zest. Pour into prepared pans and bake for about 40 minutes or until a toothpick inserted in the center of the cake comes out clean. Allow to cool in the pan for 10 minutes, the turn onto a wire rack to cool completely. Decorate with powdered sugar, royal icing or lemon buttercream. Oh my goodness, these are almost too cute to eat!!! But I know they are delicious so I'd have to gobble them!! LOVE these!! Luckily they are easy enough to make more! Thanks, Andrea! These are so cute. My grandkids would like to have their own house to eat! Merry Christmas, Carlee. I enjoy your sweet comments and delicious dishes. Isn't the pan cool? I wish it would have been a set of 4 instead of 2! Thanks, Linda! Wow those a beautiful, I agree with Andrea, they look too cute to eat!!! I'll have to make a whole village next year! Thanks, Sam! What cute little tins. Gingerbread is one of my favourite cakes. Thank you! I thought they were perfect for this cake! Thank you! It certainly is a mellow gingerbread and that pan is perfect for little holiday gingerbread houses. Messy is a fine thing in the kitchen! Baking with three year olds can be even messier, but such great memories you are making! I like minis and your cute little houses are adorable and I am sure your little helper enjoyed the baking (memories-making-moments) session! Looks lovely with the 'snow' on top! Thank you! We have a lot of fun baking together! Yours is so pretty too! Thanks and merry Christmas, Laura! I love the little gingerbread houses! I enjoyed the mild flavor myself! Beautiful gingerbread houses! Your cake turned out fabulous! I thought the taste of the ginger is quite mild, but nevertheless, we enjoyed it too! Thank you! They were pretty tasty and fun to make! Have a merry Christmas! Oh my goodness - how cute! Happy holidays! Oh my gosh, Carlee, I'm having a momentary fit of jealousy! 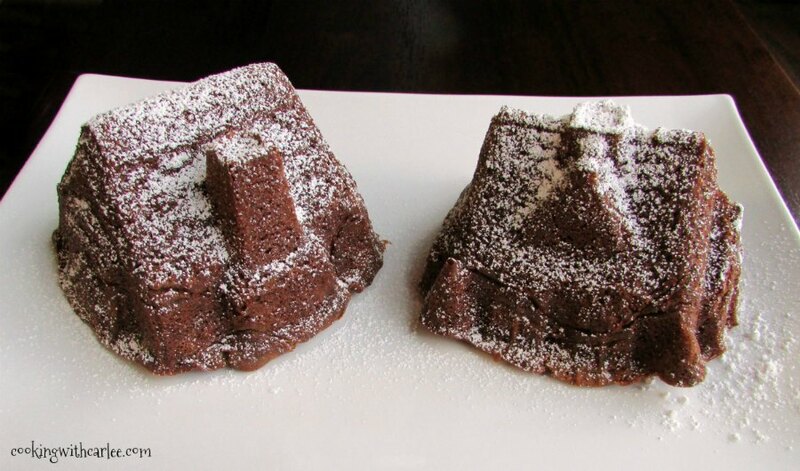 Those cakes are adorable and I love those little cake molds! And now it's too late to ask Santa for one *or maybe two! 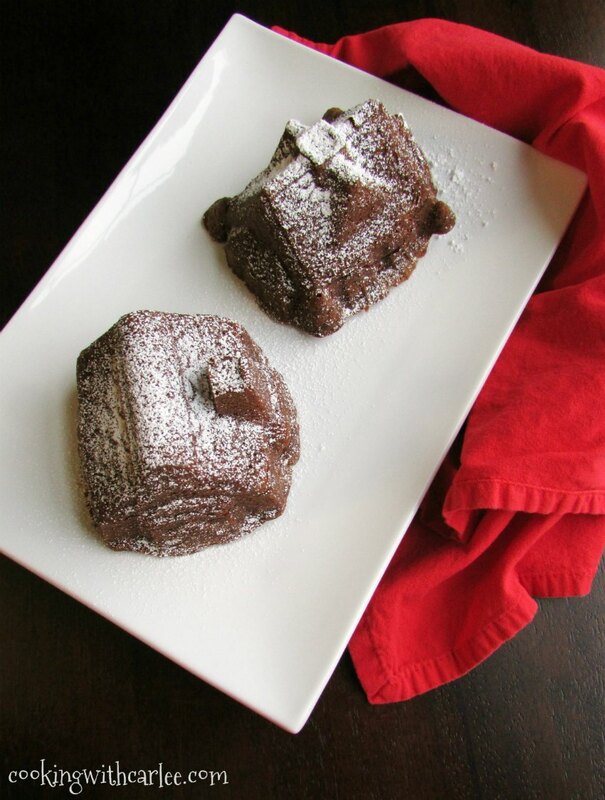 * That sprinkling of powdered sugar is just the right touch! Merry Christmas, Sweetie, to you and all your family! I've felt like I've gotten to know you all over the time we shared Throwback Thursday, so be sure to "visit" often and I'll do the same! Thanks, Mollie! It has been fun getting to know you too, and you aren't getting rid of me that easily! ;-) I'll definitely still be checking out what you are up to over there. Have a merry Christmas! Your Gingerbread Cakes look fantastic! Thanks so much for sharing your awesome recipe with us at Full Plate Thursday! Hope you are having a wonderful week and hope to see you soon! Your gingerbread turned out so cute. I love the smell of gingerbread as it bakes.